The NIKE AIR SAFARI was originally released in small quantities back in 1987 and famously featured on the back cover of BIZ MARKIE's debut LP "Goin' Off". 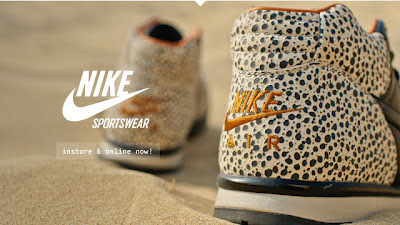 The designer TINKER HATFIELD was inspired on a visit to NYC one year where he spotted some expensive furniture made from Ostrich leather, and he took this idea and created his Safari print as a fun project, which later became reality. 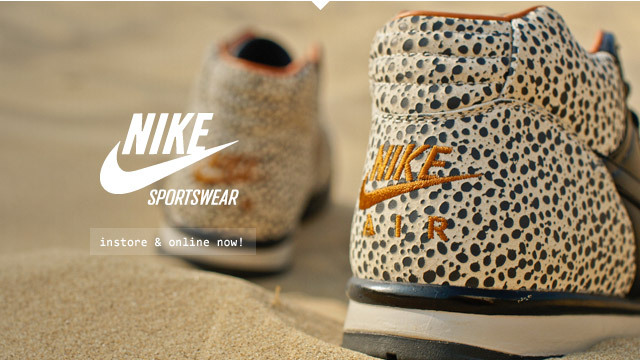 Now in 2012 NIKE have re-released the "Biz Markie" Safari, and also put together a NIKE AIR TRAINER 1 SAFARI edition for the sneaker heads out there.